Variable Rate Mating Disruption and Automated Pest Camera Traps. 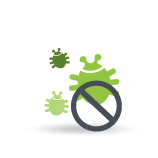 We modulate the application of pheromones in response to pest activity for optimum performance. Pests develop according to the conditions unique to your block. We correlate site-driven degree-days with trap counts and weather patterns to forecast pressure and determine pheromone application rates. 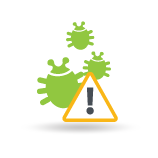 Set pest pressure alerts and thresholds for any block or trap to improve application timing. 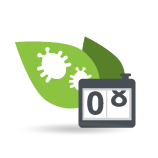 Our expert entomologists predict and schedule pheromone application rates in response to the current and forecast pest behavior in your orchard. 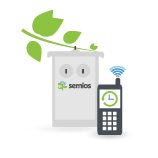 Our automated camera-traps allow visual inspection of each field trap from the Semios dashboard. Images are compiled per block for summary reports providing accurate and up-to-date pest pressure information. Customized treatments require block-specific data. 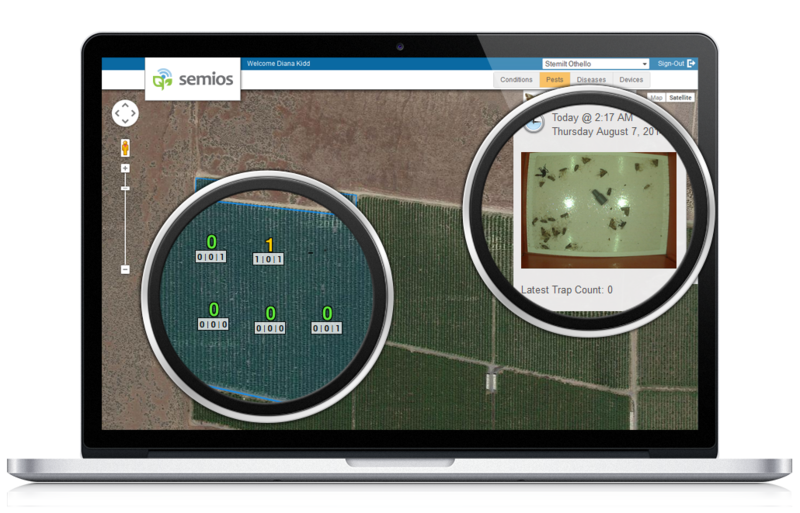 Relying on remote, third-party weather stations is not accurate enough to predict and track pest development – Semios gives site-specific degree-day values including percent egg and hatch driven from the weather stations on your ranch. Using Semios, view historical degree-days for a field, correlate degree-days with trap catches or view both in relation to daily extremes. 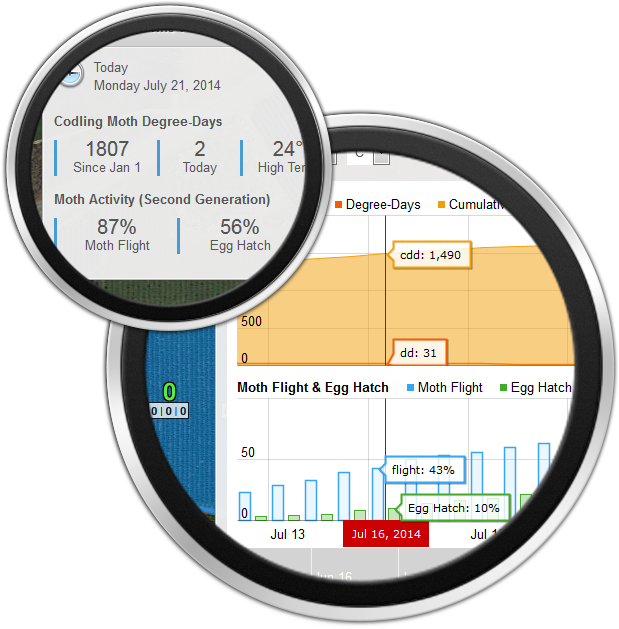 The Semios platform allows simple dashboard statuses and alerts all the way to data-analysis and forecasting.